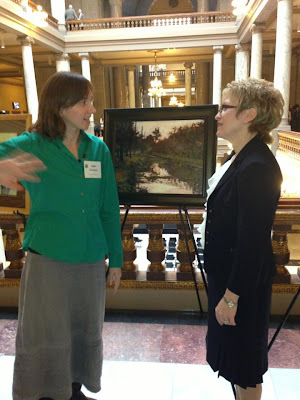 I am happy to announce that this landscape painting depicting the Broad Ripple Canal was selected to hang in the Lieutenant Governor's office in the Indiana State House for the next year! Lt. 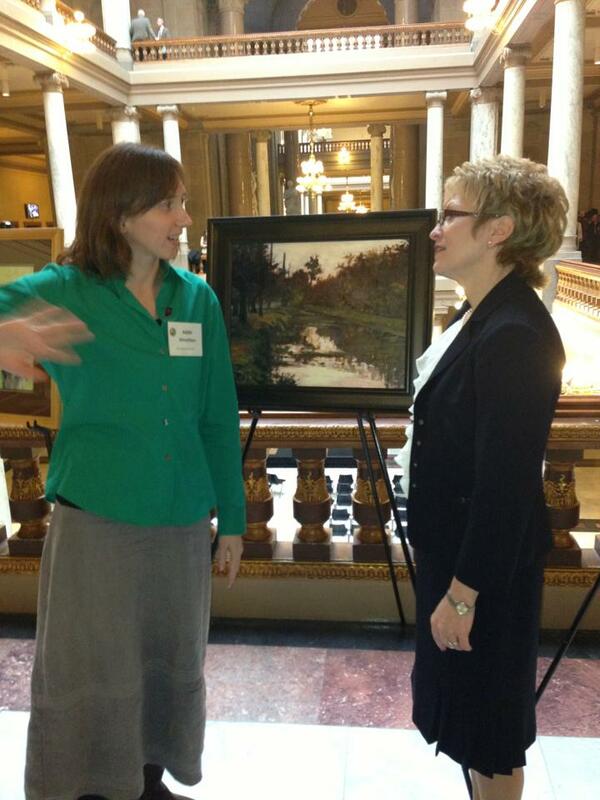 Governor Ellsperman selected this piece as part of the Hoosier Women Artists Program. So it is official... I am a Hoosier! Congratulatons, Addie! What an honor. Thanks! I know- it is so exciting!